We have seen a decade of consolidation of the data centre industry with larger and larger data centres being built in clusters around London, Amsterdam, Frankfurt, Paris and now more and more, Dublin. This centralised approach is dominated by big colocation companies such as Equinix and Interxion and by Cloud providers such as Amazon, IBM and Microsoft. The downsides of centralisation, as in any business, are reliability, costs (if your customers are very distributed) and network latency, i.e. the delay caused by long communications links between computers and networking equipment. If you have a lot of users storing and processing data in an area remote from the traditional centres of cloud providers then it makes sense to build a smaller datacentre nearer to the customers, hence the rise (or resurgence) of the Edge data centre. Another driving force is the Internet of Things, IoT. Over 50-billion IT edge devices are expected to be Internet connected, according to Cisco. The amount of data generated by mobile edge computing is expected to grow four times by 2020 compared to 2016. Given that expectation, data centres on an edge network will be crucial for faster processing and better security. According to the DataAge 2025 study commissioned by Seagate, by 2025, almost 20 percent of data created will be real-time in nature – rather than be sent to the core of the network for processing. This means enterprises will build on their central cloud computing architecture and develop the ability to process – and, equally importantly, securely store – more data at the edge. Edge data centres may be smaller but they still need to be reliable and secure. 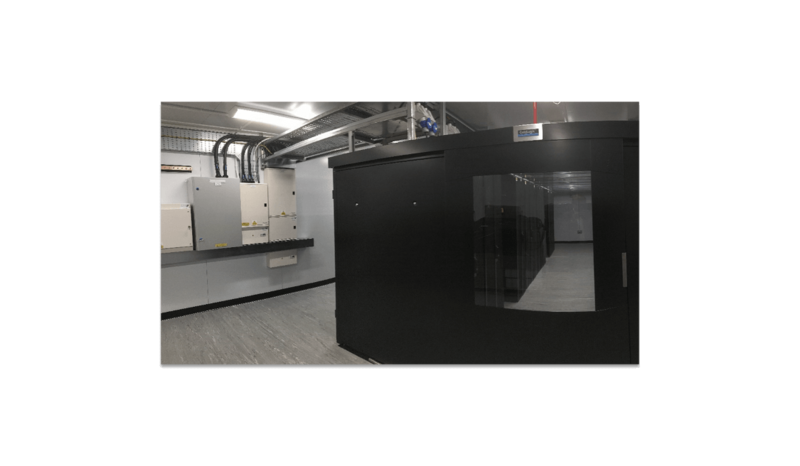 We still want to see duplicated and backed-up power and cooling, physical security, fire detection and suppression, organised cabling and all the control and monitoring facilities we would expect to see in a big data centre. One area that Capitoline has experience of is in edge data centres for medical data processing and storage. According to Stanford Medicine the volume of medical data is growing at 48% per annum which is driven in part by the rise of the wearable medical data collection devices and high definition CT/NMR scanning results. There were 41.0 million imaging tests reported by NHS England in the 12 months from February 2016 to January 2017. A simple X-Ray picture is about 500 kB but a full 3D Computerised Axial Tomography scan is up to 350 GBytes. There is little point in gathering all that data and then sending it to some remote cloud provider. However we still want that connection to the remote data centre for backup to cover us for the day that the edge data centre burns down or disappears under a flood. On the other hand over-reliance on remote cloud providers often leads to a false sense of security as cloud providers’ track record on availability is far from perfect. Your local data centre still has a bright future. Or is that an Edge data centre. You may also be interest in our paper Edge data centres – What are they? What makes them different to cloud data centres?